Do Apples and Pumpkins Float? Author RobertaPublished on October 27, 2008 October 14, 2009 Leave a comment on Do Apples and Pumpkins Float? 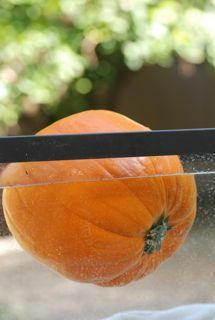 Some questions came in from the previous post on apples and pumpkins about whether apples and pumpkins float. If you can, you should try floating them yourself, because it is fun. 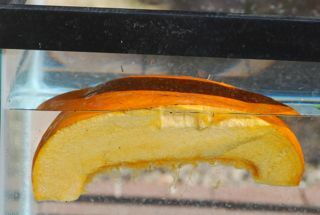 If it's too cold where you live to be outside playing in water right now, take a look at how our experiments turned out. What about pieces of pumpkin? and also this video of a huge pumpkin made into a boat. 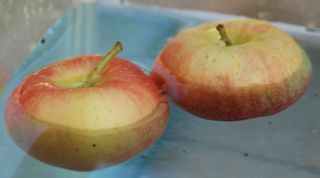 Published on October 27, 2008 October 14, 2009 Categories Find Out More, Floating and Sinking, Fun Science ActivityTags apples, floating and sinking, pumpkin scienceLeave a comment on Do Apples and Pumpkins Float?